“Come to the table.” How often did I hear those words growing up, and as a mother, how many times have I said those words to my own children? On a Saturday evening this summer, I sought to honor the lady who spoke these words so many times. My mother, Ruth McBrayer Roberts, will turn 70 years old this year. Understanding that this is a milestone that should not be taken for granted, I wanted to host a proper birthday party for her. 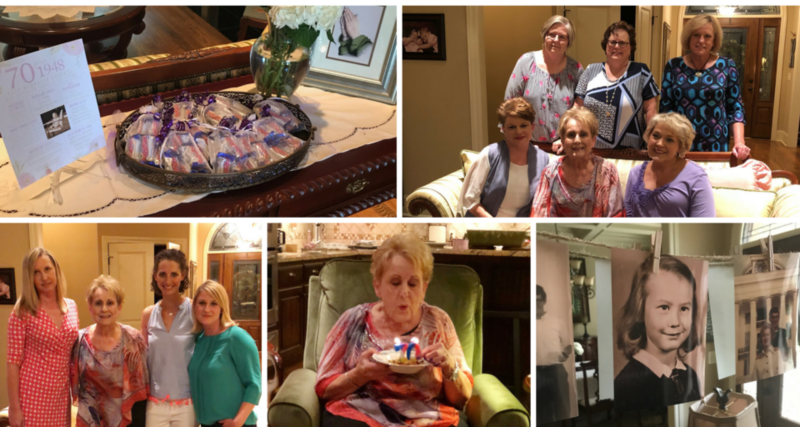 As the details for the party began to unfold, we settled on the idea of a small dinner party with a few close girlfriends. We wanted the gathering to be intimate enough that everyone would have a seat at my parents’ dining room table. Once the guest list was developed, my thoughts quickly turned to the menu. I instantly knew that those answers could be found in The VeryVera Cookbook. As a former VeryVera employee, I knew the recipes were Southern classics and definite crowd pleasers. Channeling my inner Vera, I made a worklist and was able to prep the food in the days leading up to the party so that I did not feel overwhelmed. The dinner itself was delicious. Each bite transported me back to my days in Augusta and my time spent at VeryVera. 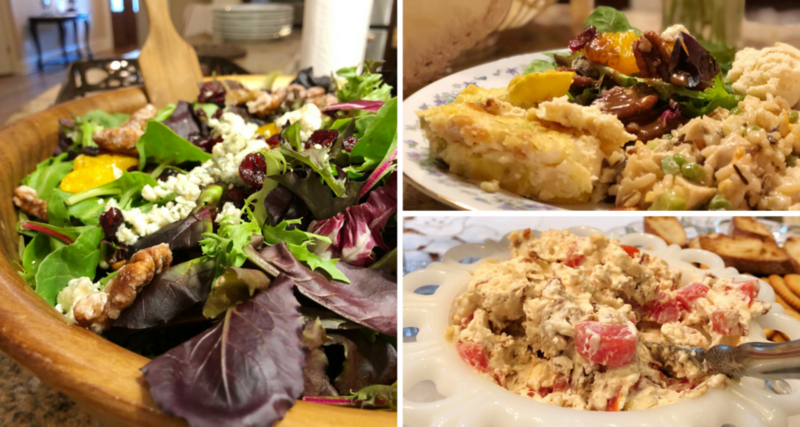 Although several of the dinner guests own copies of the cookbook, it was fun to introduce other friends to the VeryVera brand. The culmination of the evening occurred as we gathered in my parents’ living room after the meal. We sang Happy Birthday and enjoyed the bread pudding. Our bellies were full, and our hearts were about to be as well. In lieu of gifts, I asked each guest to write down a favorite memory of my mom. One by one, we went around the room and shared our memories. We laughed at the many “Thelma and Louise” moments and we shed a few tears as well. One friend commented, “How often do we get to do something like this?” Sadly, often this type of reminiscing occurs at a person’s funeral. As I listened to the stories, and shared my own, I thought about the shared history that these ladies have with my mom. These friends had seen each other through struggles and triumphs, experiencing the deaths of loved ones, raising teenagers, becoming grandparents, and living with unwanted diagnoses. A common thread in each story was being present. 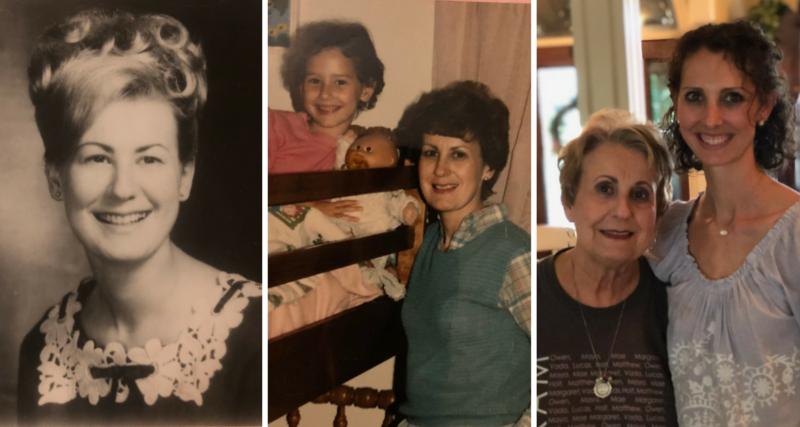 One dear friend shared that when she thought of my mom, she thought of the words, “Come to the table.” One of the many things my mom does well, is to welcome others to her table. She shows up. She makes room. She listens. She cares. She does not focus on our imperfect lives, but rather she is just happy to have you are there. Life is something she shows up for. Today, I say Happy Birthday to the lady who taught me how to make a derby pie, how to love well, and how to make room at the table for others. Happy Birthday, Mom!